As most of us have heard by now, Madonna fell off a stage during a performance at the Brit Awards. Madonna was performing during the awards ceremony and blames her fall on a wardrobe malfunction. During her performance, she was wearing a cape that was supposed to fall off her shoulders. The cape failed to fall and caused her to be pulled backwards off the stage. According to a recent news article from BBC News, Madonna says wardrobe personnel were worried her cape would fall off early and tied it extra tight to make sure that didn’t happen. When it was time for the cape to fall, Madonna was at the top of a flight of stairs designed for the set, and she pulled the string as she was instructed to do in an attempt to release the cape. At this point the cape did not release and it started to strangle her. She realized she could either intentionally fall off the stage or be strangled by the cape. She chose to fall, saying that she had fallen off her horse many times and knew the proper way to take a fall. When she landed on the ground, Madonna says she hit the back of her head and suffered whiplash. Medical personal preformed an initial test to determine if she suffered a concussion, and also someone was posted to watch over her with a flashlight until early the next morning to make sure did not present any new signs of head injury. As our Boston personal injury attorneys understand, when someone suffers a head injury, a concussion can occur, which can cause serious personal injury to the brain. A concussion is caused when the brain violently impacts the skull, causing swelling or other damage. The reason medical professionals wanted someone to watch Madonna later that evening and early the next morning is because a concussion may not be detectable until hours later when swelling occurs. If a concussion victim is allowed to go to sleep without being monitored by trained personnel, the victim may suffer a traumatic brain injury (TBI) due to untreated swelling, which can lead to irreversible damage. If you or someone you known has suffered a head trauma due to a fall or other accident, it is best to seek prompt medical attention. First responders and doctors can examine the patient and perform a simple neurological assessment to see if early signs of a concussion are present. This is extremely important if victim has ever suffered a concussion on a prior occasion, because risk of second concussion is significantly higher for these victims. 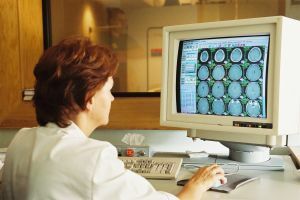 In the context of a personal injury lawsuit, if the head injury was due to someone else’s negligence, having a medical record created at or near the time of injury will greatly improve the likelihood you will receive a full and appropriate financial settlement or jury verdict should your case go to trial. This will prevent defendant from claiming you were injured at a time other than the accident at issue in your case.